The following is a guest blog post by Jennifer Kreatsoulas, PhD. 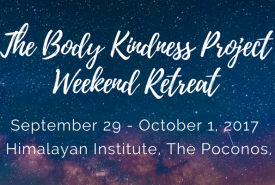 as part of our YBIC monthly column that highlights how the practice of yoga can be an integral component in the effective treatment of and on-going recovery from eating disorders and disordered eating. 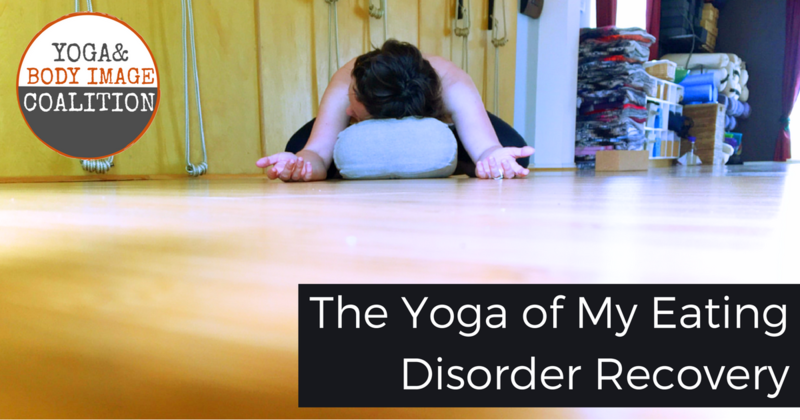 When I am on my yoga mat, I tend to forget I have an eating disorder. The first inhale of class, that deep breath in, fills me. With my eyes closed and face soft, I send the air out with a purposeful exhale. Each round of breath draws me more inward. The rhythm at once soothes and awakens me. I am still and moving at the same time. It’s no wonder that stepping on my yoga mat feels like coming home every time. In a way, that’s exactly what happens. The potent combination of breath and movement separates out my light from dark. My mat reflects my light and my flowing practice embodies brightness. I am reminded that there is so much more to me than the eating disorder, so many dynamic dimensions, textures, colors, and shapes. I was diagnosed with anorexia when I was 18. Only after years of therapy and intense self-reflection have I come to understand that this illness is a silent temper tantrum, a quiet way to express unhappiness, sadness, anger, hurt, pain, and disappointment. Recovery is the process of learning how to use my voice instead of my body to express feelings and emotions. My recovery journey, therefore, has been about learning how to stay connected with myself and cultivate resilience. In my 22 years navigating the highs and lows of recovery, yoga has facilitated a great deal of my healing and empowerment. Yoga teaches me how to connect from the inside out. I rest my mind on my breath as I embody the characteristics that are essential to my ability to sustain a well-supported recovery. I sense my strength and confidence in warrior poses, courage in wheel pose, grace in dancer’s pose, openness in triangle pose, peace in hero’s pose, and support in child’s pose. I fold and surrender, reach and grow, twist and energize. This is the yoga of my eating disorder recovery. Yoga philosophy teaches that we experience suffering when our beliefs and patterns do not match reality. My life’s work, therefore, is untangling those 22-year-old beliefs, and slowly but surely I am. 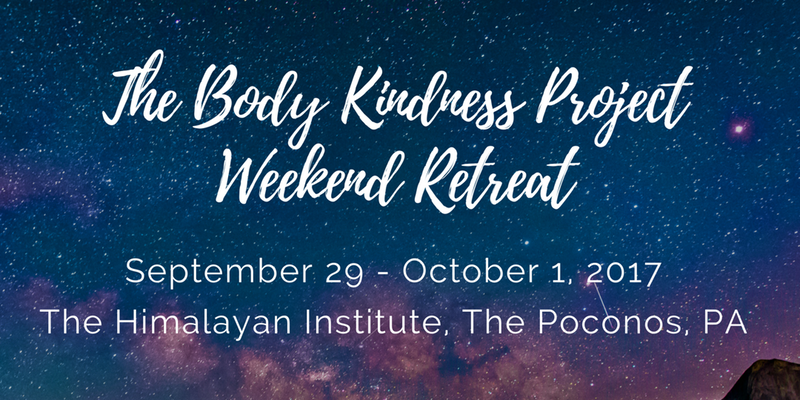 The fact that I can so fully access other ways of thinking, feeling, and expression during yoga practice is proof that my recovery is a balance of light and dark. Lately, I am coming around to embrace both parts. Rather than struggle to banish my dark side, I am learning to respect its wisdom and allow it to show up on my mat and reveal hard truths that I have buried. My recovery is not perfect, and yoga alone is not a cure. Ironically, it’s exactly because there is no such thing as a perfect recovery that I can come to my mat over and over again and experience nuances in my healing, develop my voice, and dedicate my life to empowering others to trust in their own natural balance of light and dark. Yoga has taught me that, yes indeed, I am so much more than the eating disorder, but it has also shown me all that I am because of it. That’s a gift I am holding close and tight both on and off my mat. 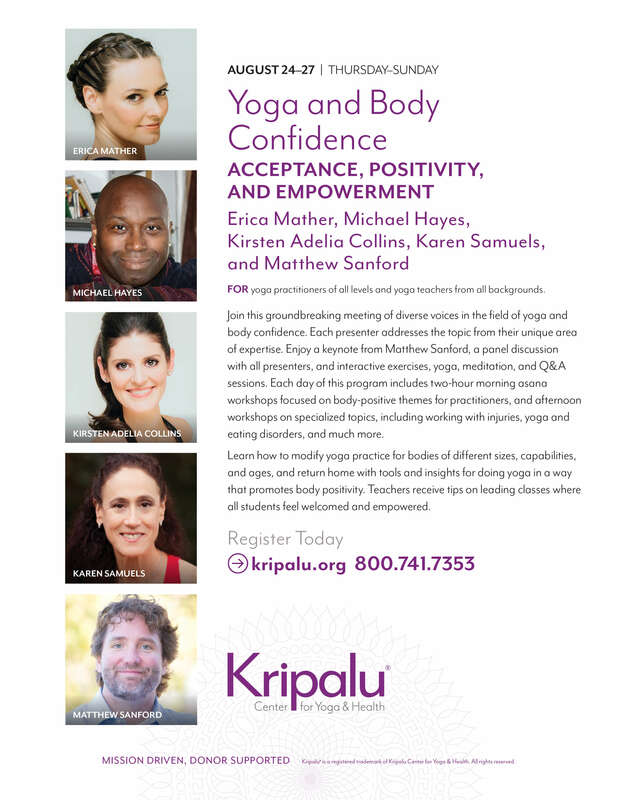 Jennifer Kreatsoulas, PhD, the founder of Chime Yoga Therapy, is a yoga therapist specializing in eating disorders. 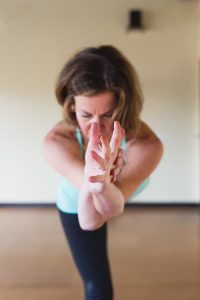 In recovery herself, Jennifer is exceedingly passionate about helping others connect with their natural gift of resilience through yoga. 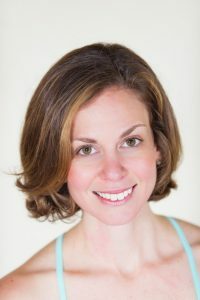 In addition to her private practice, Jennifer is also a yoga therapist at Monte Nido Eating Disorder Center and Seeds of Hope, both in Philadelphia. 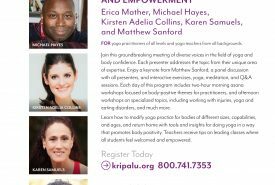 She works with individuals one on one and leads yoga therapy groups and seminars.